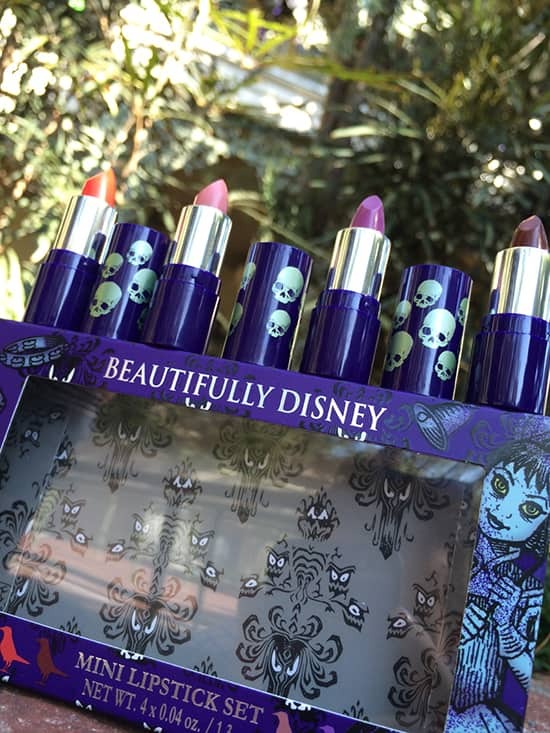 Welcome, foolish mortals, to the eighth collection from Beautifully Disney. 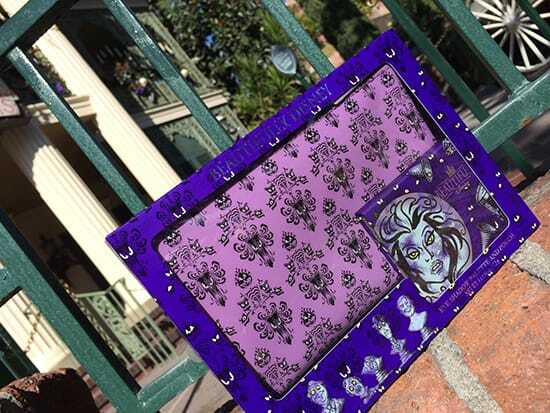 This fabulously fearful collection materializes at Disney Parks later this month. I will be your host — your ghost host — along this tour. If you are you looking for something to awaken the spirits, channel the ethereal color waves in our mini nail polish set. The subtle shimmer brings to life colors like ‘Wall to Wall Creeps,’ ‘Hurry Back,’ ‘Doom Buddies’ and ‘Three Thumbs Up,’ while the nail appliques feature iconic symbols and characters from the Haunted Mansion. They are simply to die for. After conducting a mock color séance with the help of my good friend, Beautiful Disney fan and fellow Disney Parks Blog author, Rachel Brent, look what materialized. The nail in the coffin for me — I mean, my pick from this collection — is the eye shadow palette and accessory case. Create the perfect neutral eye for fall with ease. The light beige ‘Tomb Sweet Tomb’ is the perfect pearlescent to use as a highlight under the brow bone. 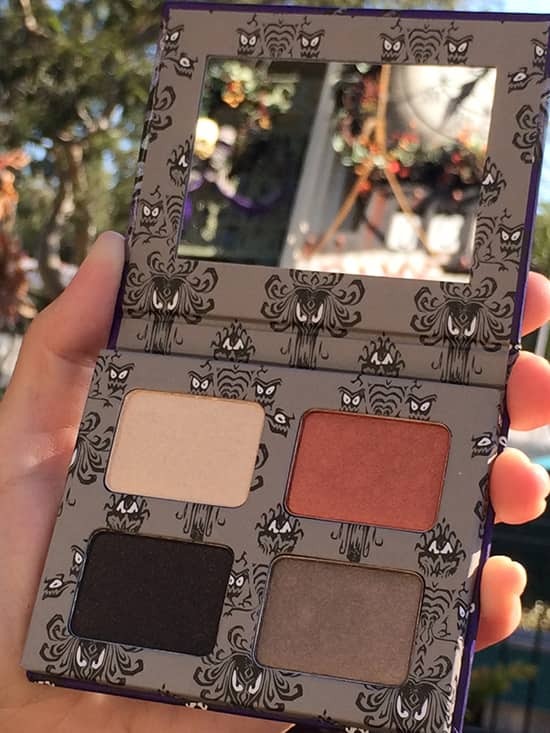 Dust ‘Find A Way Out!’ over your lid using your favorite Beautifully Disney brush before defining the crease with ‘Ghoul’s Night Out.’ Then, to line and define the eye, try the shimmering, smoky black ‘Hurry Back.’ The palette comes tucked inside a ghoulishly delightful accessory case, inspired by the famous Haunted Mansion wallpaper. Aren’t you dying to try this new collection? I am going to be visiting Disney World this weekend and am all about everything Haunted Mansion. What stores in the park/downtown Disney would you suggest that I check just in the case that these come in by the end of the week? I am also looking forward to the Dooney and Bourke Haunted Mansion bag, but with all of the shops, want to make sure I check the right places. Thank you for your help! Andrea, typically when the a new line comes out the old one is still sold for awhile. I would imagine that the HM would be showcased, but the Tangled one would still be for sale. I saw the mirror and it is beautiful. Check Vault 28, World of Disney and Elias & Co (DCA) they usually have a bigger selection of the makeup. I need it all!!!! Please let us know about online! Vanessa, it doesn’t appear as if these items will be available online. I would check with Disney Merchandise Guest Services after October 6. Hi Michelle! Was wondering what happened to the Tangled Web collection Mirror which you featured in the 08-06-14 article? I have been looking on-line and have had no luck! Can you possibly give me the sku so that I may order one? OR I’ll be going to Disneyland on October 20th for the Halloween party–can I possibly find one there? Hi Andrea! I’m sorry for the delay. 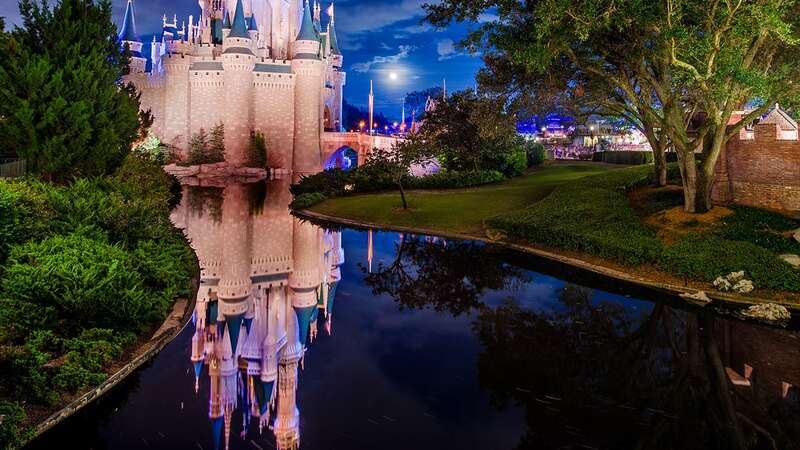 I caught up with the Beautifully Disney team this morning and they actually gave me a quick update on the status of the mirror. It turns out there were some last minute challenges with the item, so we will not be carrying it at this time. I’ll certainly let you know if that ever changes. Rochelle – that snow globe with Madam Leota is BEAUTIFUL! I got one the first time I saw it. I haven’t seen to many out lately but there were some about a week ago at the Christmas store at Downtown Disney near their Halloween items. I really wish they would reconsider releasing full size polishes along with the option of mini sets. I absolutely love getting the full size polishes and I paint my nails often, so the minis just aren’t practical for me. Samya, thank you for the feedback! I’ll definitely pass that on to the teams. I really like the packaging. Are the make-up products made in the US? Hi Mandy! Yes, in fact all the cosmetics, etc.. are filled in the United States. Please tell me when the awesome plates and crystal ball, etc. will be coming around!!? 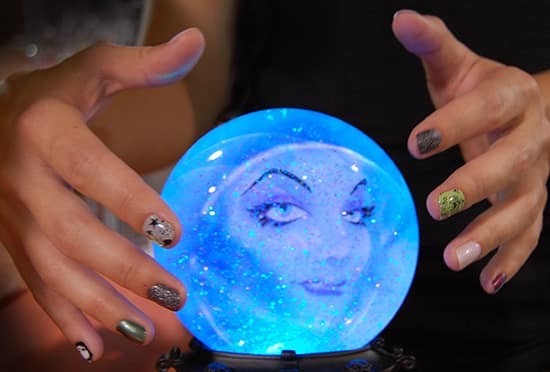 What about the globe with Madam Leota? I want that! Hi Rochelle! The globe with Madame Leota was actually something available in Disney Parks last year. We couldn’t resist using it, because it’s so cool. Will this also be available online? Hey Krisztina! It doesn’t look like it will be available online as of right now, I would recommend reaching out to Disney Merchandise Guest Services after October 6 to check on availability and the possibility of ordering it. Materializes as in, not here yet? Later this month? It’s already the 22nd? So confused…..
Hi Darlene! The new collection should arrive in stores over the next week an a half. I would start keeping an eye out for it beginning October 6.